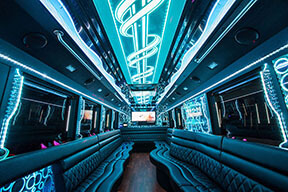 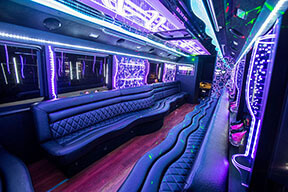 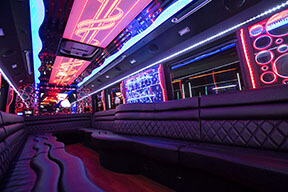 Here at Cincinnati Limo Bus, we have put together an enormous array of buses for you to choose from. 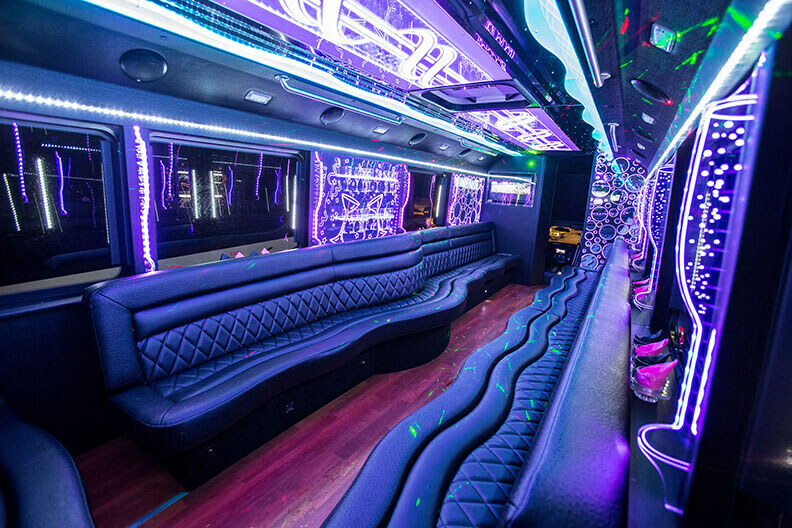 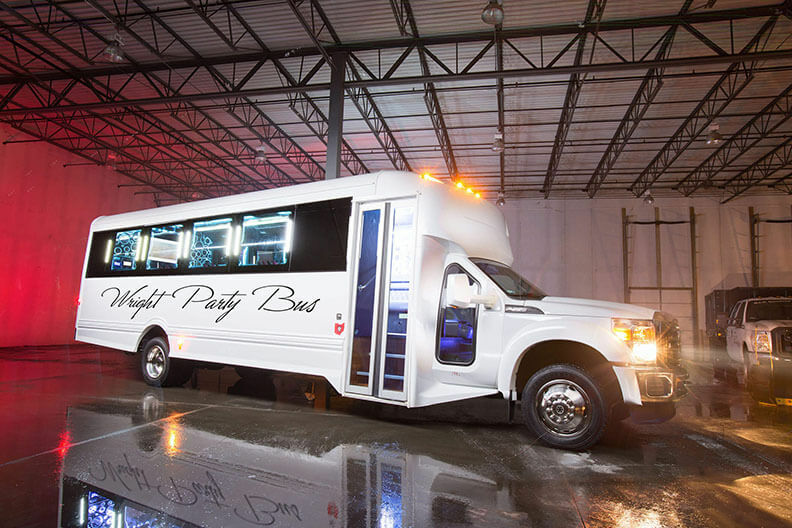 We've got all different sizes with all different feature sets, so every bus has its special advantages that will make it just perfect for your party. Below we'll tell you a bit about the features that are typically standard in our larger buses and our smaller buses. 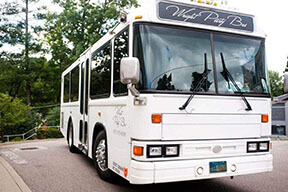 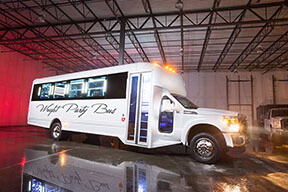 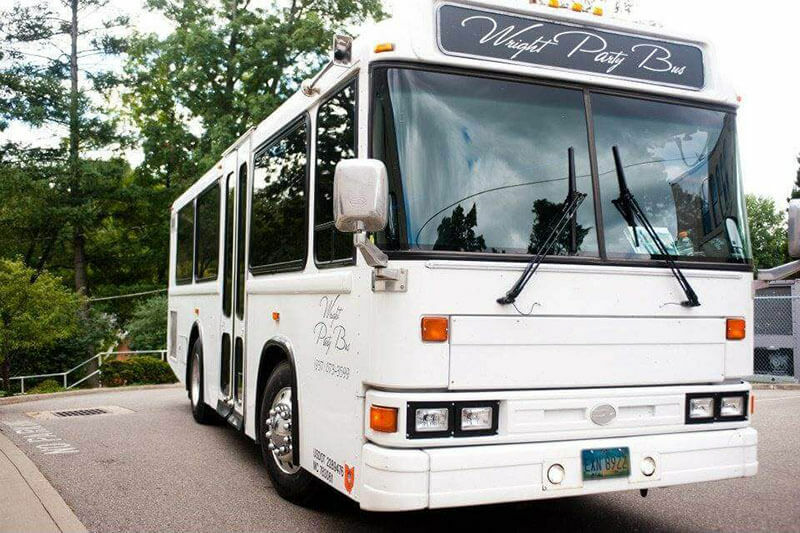 We invite you to come to our lot in person and tour all of our buses to choose the one that is best for your needs, or alternatively you can just give us a call or shoot us an email with all the details about your upcoming party, and our team of Cincinnati Limo Bus experts will choose the perfect one for you. 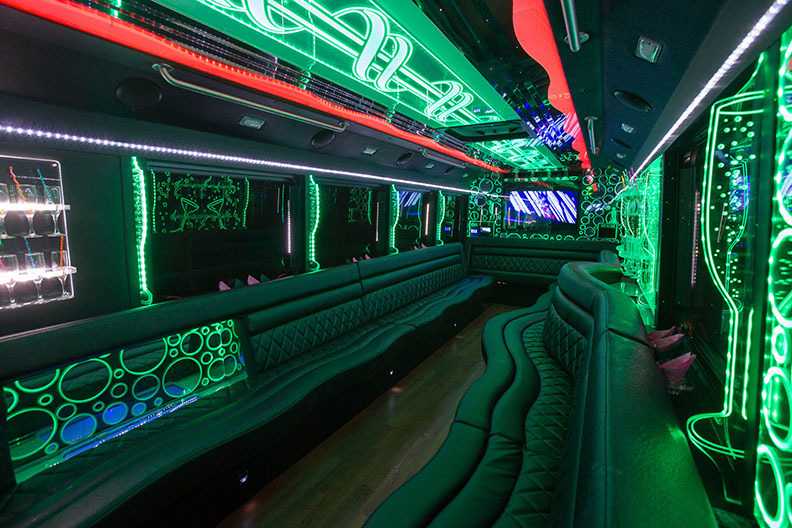 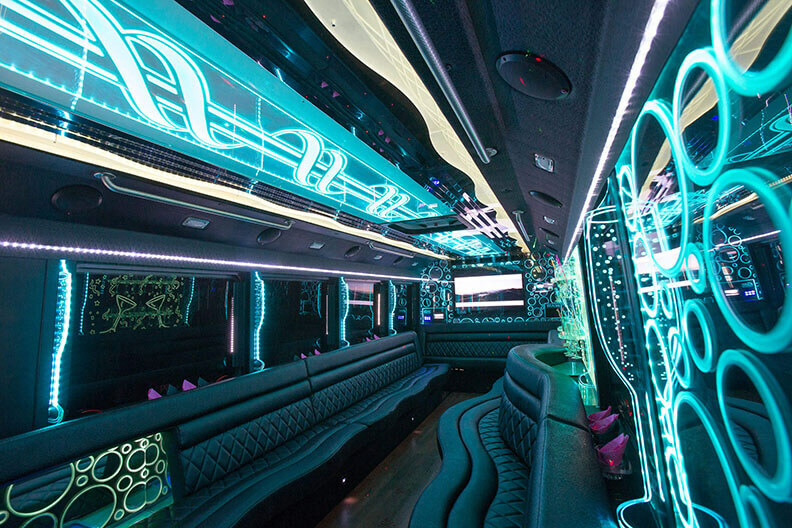 Many of our larger buses feature color-changing lighting features that bring a cool color shift to the walls, ceilings, and sometimes even the steps and kickplates! 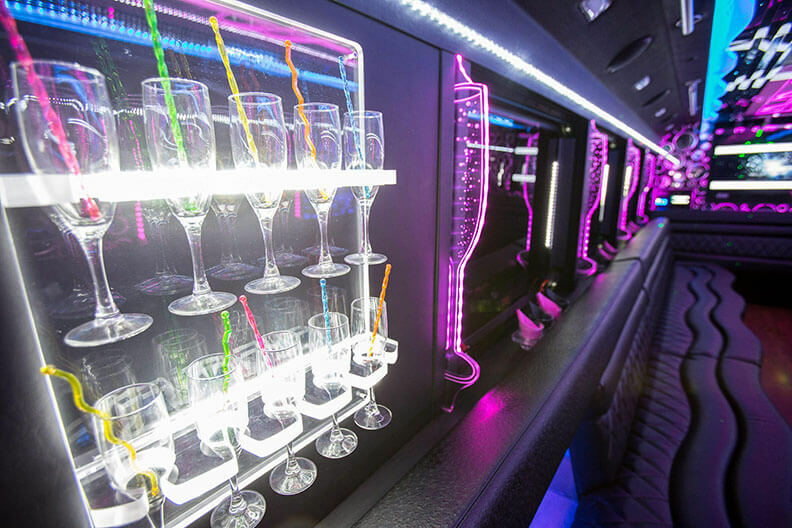 While some smaller buses only feature one bar, our larger ones feature multiple acrylic and/or granite bars complete with coolers and cup holders. 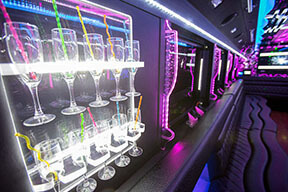 We provide the ice and cups too! 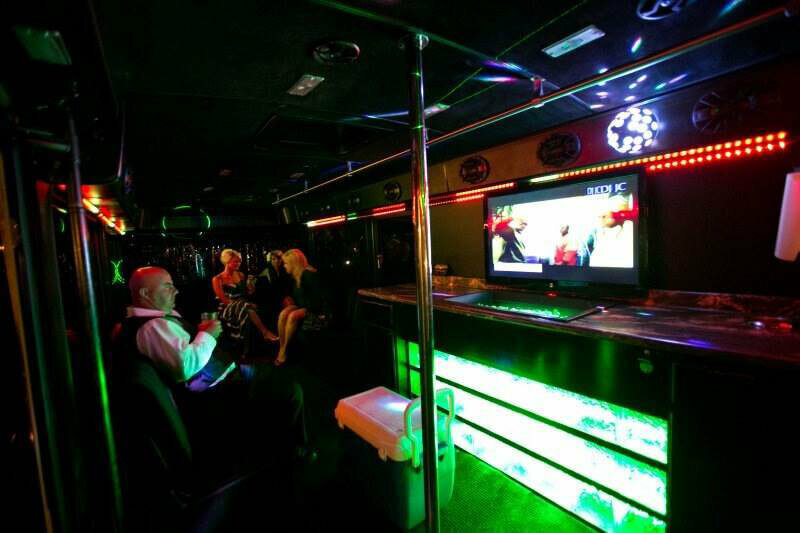 With a 42" LED HD-TV, you'll find that the amenities on this Limo Bus are pretty much right along the lines of our larger choices. 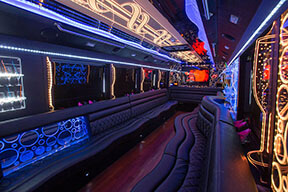 All of our buses, including our small ones, feature high quality audio systems with plenty of bass. You can hook up your MP3 player or bring a stack of your favorite CDs to play.